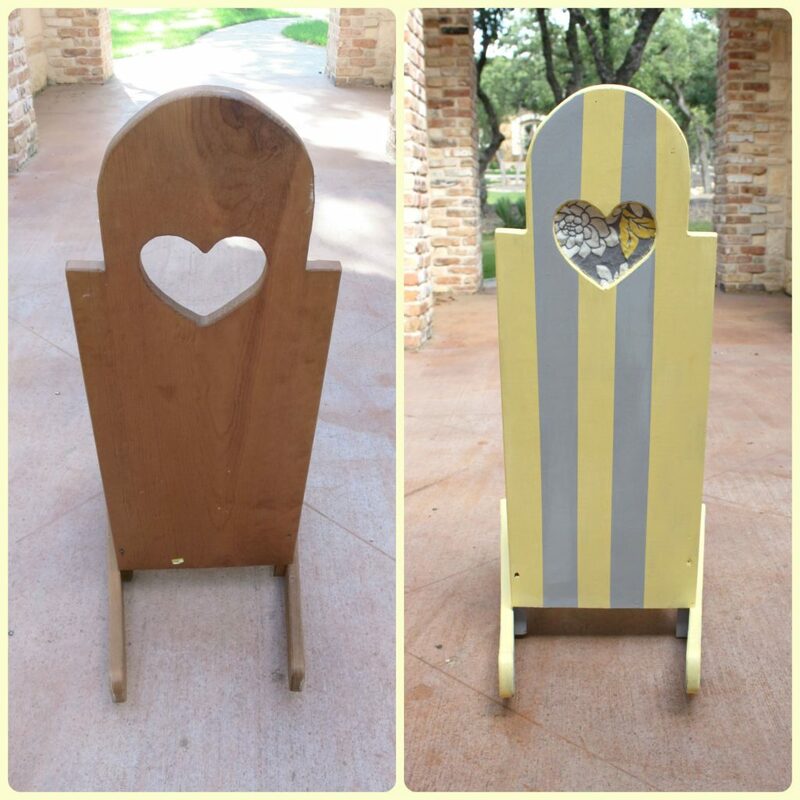 I mentioned in this post that I find these country style wood items at Goodwill all the time. 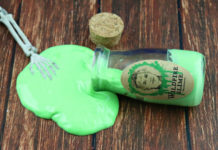 They practically give them away…I guess that’s how unpopular they are? 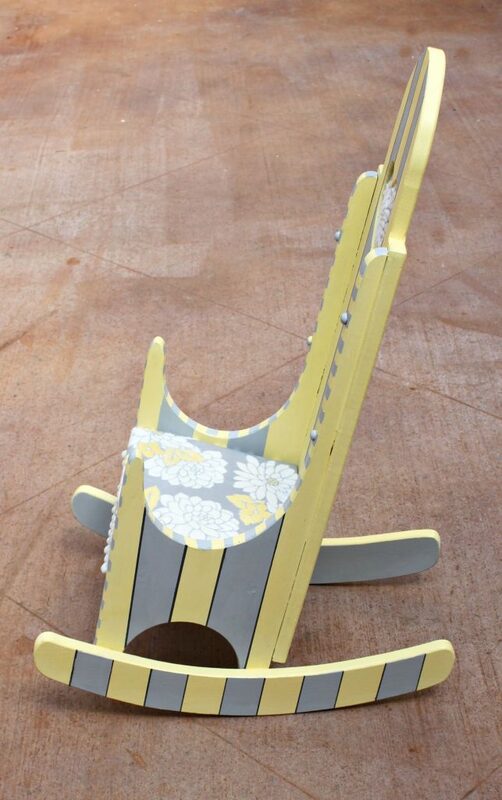 I couldn’t believe this child sized rocking chair was just $5.99! 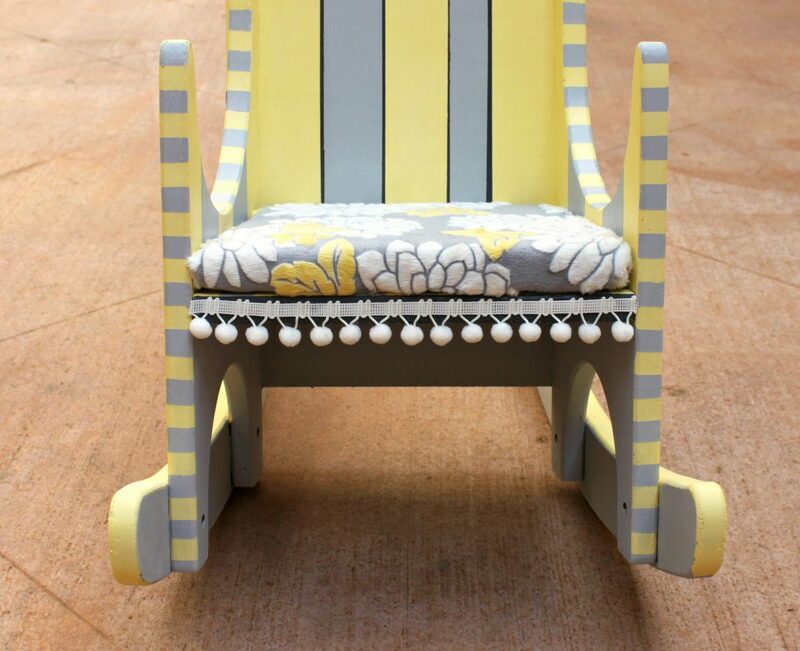 Sure, it looked dated and plain, but that’s easy to fix with paint and fabric! 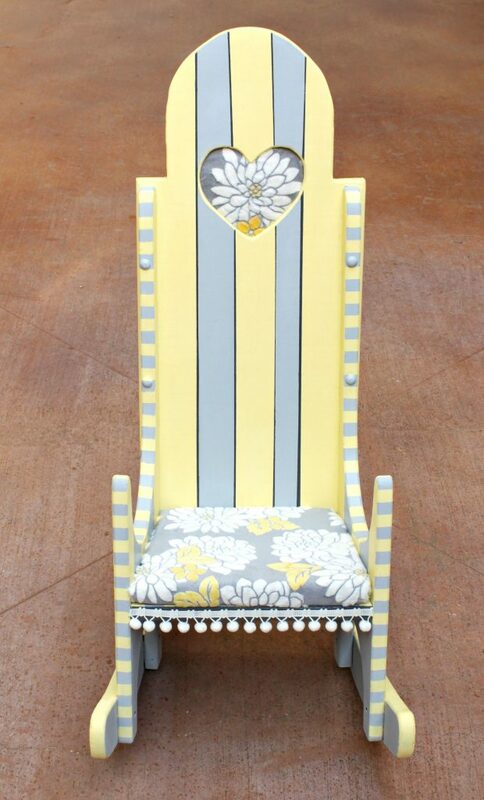 Step one: Paint the entire rocker yellow. Step two: Use painter’s tape to make stripes of various sizes. 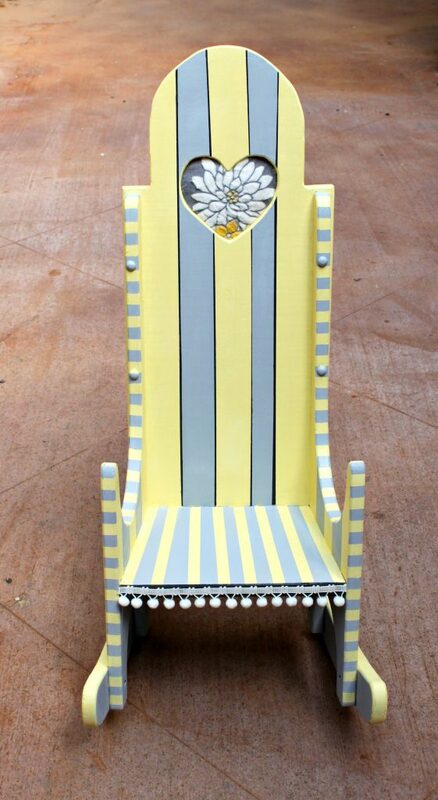 I made large stripes on the backs and sides, and itty bitty stripes on the arms of the chair. I did not measure to make the stripes perfect, since I wanted a whimsical, hand crafted appearance. Add two applications of chalky finish paint in Yesteryear (light gray), letting it dry between each application. 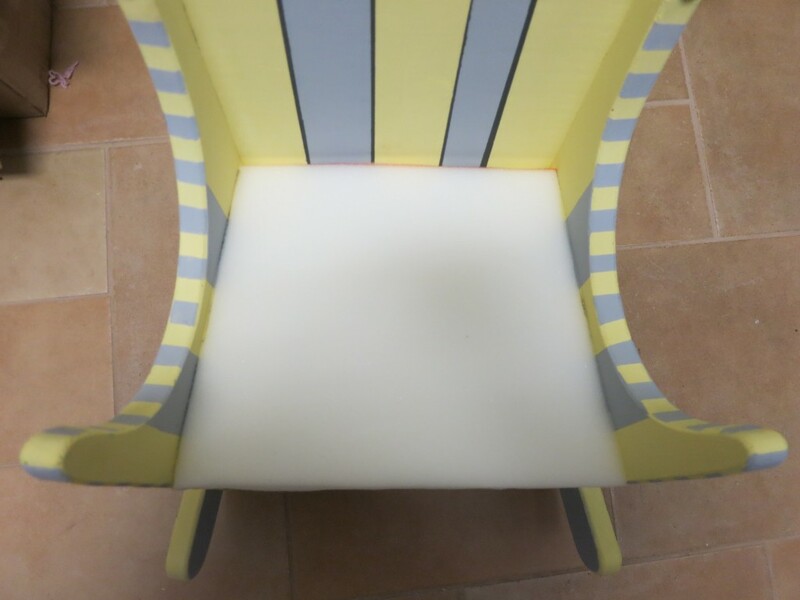 Step three: Use painter’s tape and Relic (dark gray) chalky finish paint to add thin accent stripes to the back and sides of the chair. Brush it on then buff it with a soft cloth to provide a professional looking finish. Step four: Cut Project Foam to fit the bottom of the rocking chair. Use Cuddle fabric to make a cover for the cushion. For a more detailed tutorial on my quick low-sew cushion cover, see this post. Step five: Trace the heart cut out on the chair to create a template. 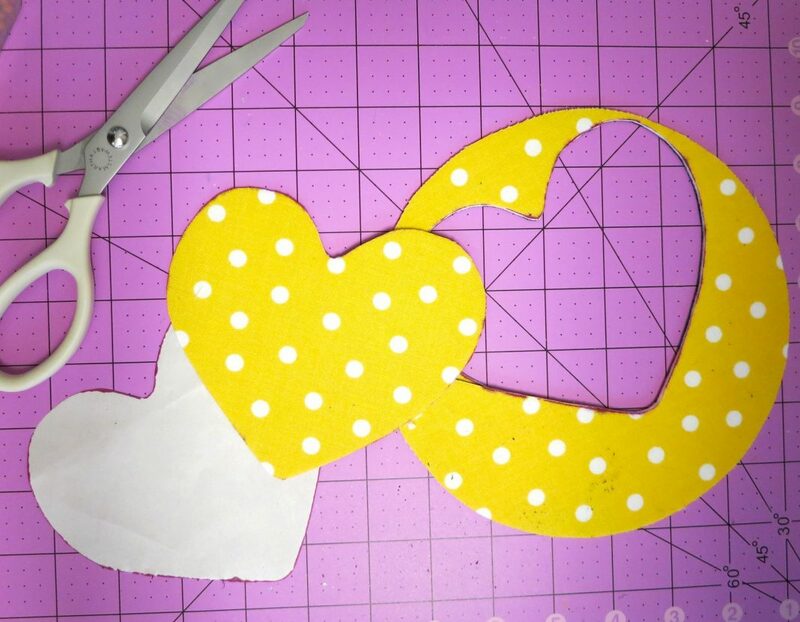 Use the template to cut a heart from Stiffen, and make sure it fits inside the cut out on the chair. Stiffen is a new product from Fairfield World that is similar to cardboard in rigidity but is washable and fusible. 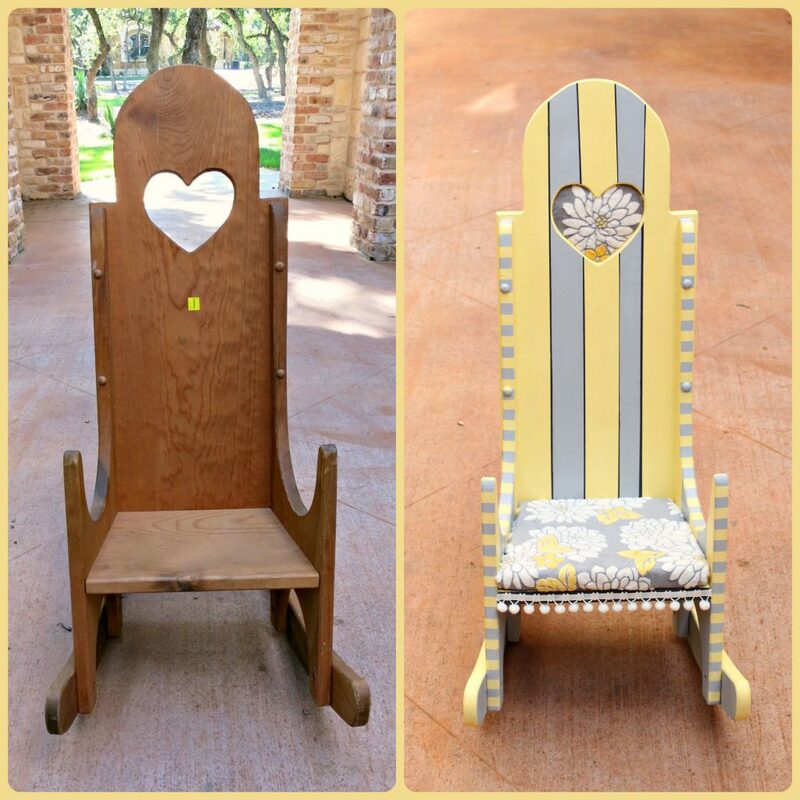 Use Aleene’s Fusion Sheets to adhere cuddle fabric to the Stiffen heart shape, and slide it into the heart shaped spot on the chair. As a finishing touch, I decided to add some beautiful trim from Decorative Trimmings to the base. This is professional trim, not the stuff I usually use with my papercrafts! 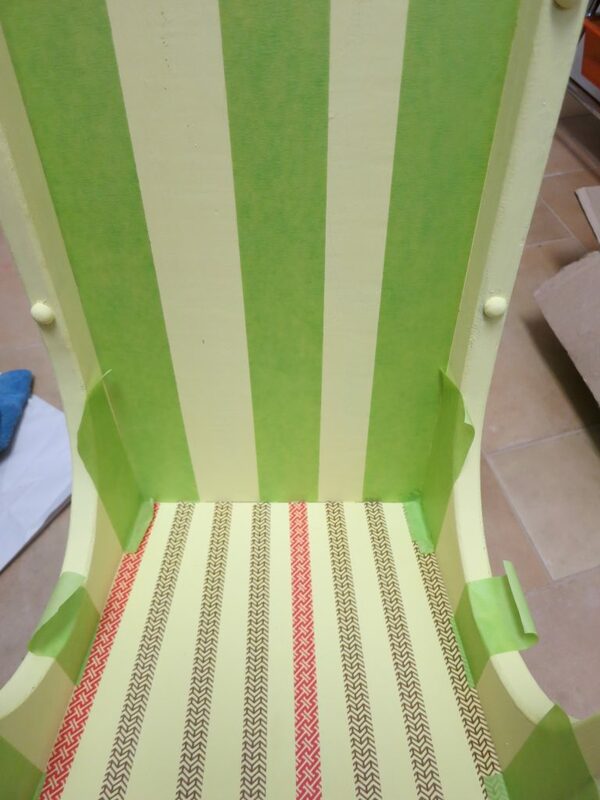 I simply cut a piece to fit the base, dabbed some glue on the ends to keep them from fraying, and hot glued the trim to the base of the chair. My daughter just LOVES her new rocking chair. I’m so glad she’s happy with it! It’s cute to watch her sit in it and rock her little stuffed animals. 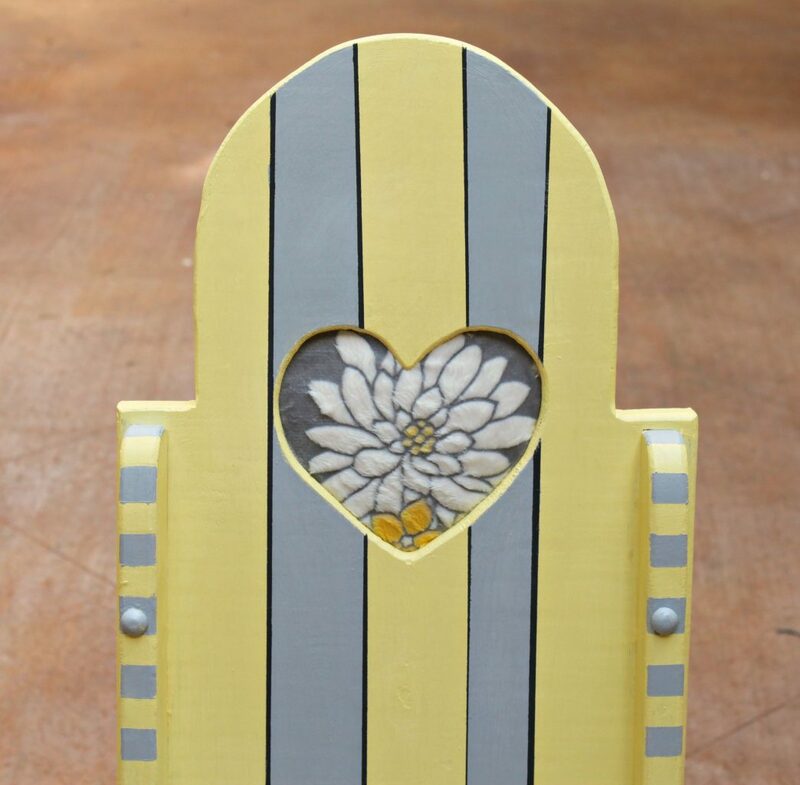 I’m entering this project in DecoArt’s “All About Second Chances” contest….you should enter, too! Click HERE to learn more.